Darkness. Destruction. Infection. Invasion. The 5th Wave is coming. I know you've been waiting for this, because I certainly did. The previously released movie poster dampened my hungered spirit, but the trailer certainly made me whole for a while... despite the apocalyptic theme of the movie. Now is your chance to watch it! 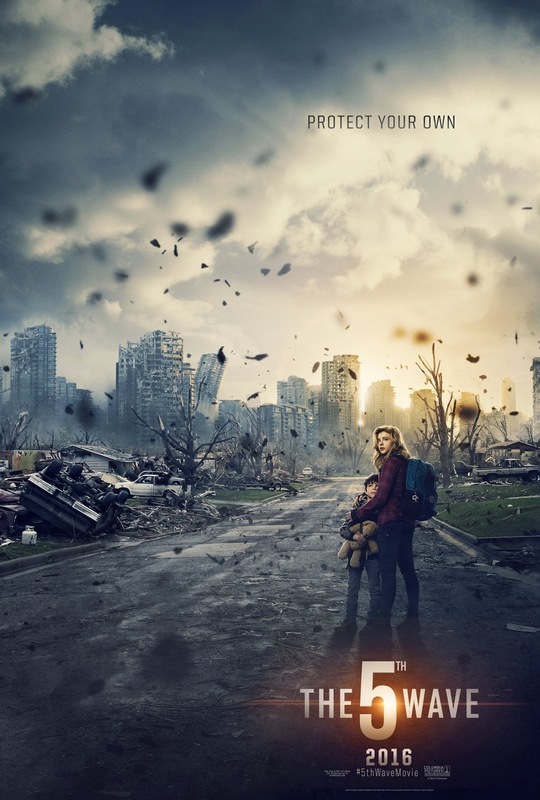 The 5th Wave movie adapatation is directed by J Blakeson and stars Chloë Grace Moretz, Liev Schreiber, Nick Robinson, Alex Roe, Maika Monroe, Maggie Siff, Maria Bello, and Ron Livingston. It is written for screen by Susannah Grant based on the novel of the same title by Rick Yancey. Watch the new trailer of The 5th Wave.